This neighbourhood is divided into two sections by Moodie Drive. The Western section, Crystal Bay, is bounded by the Ottawa River to the north, Carling Avenue to the south, and Rifle Road to the west. 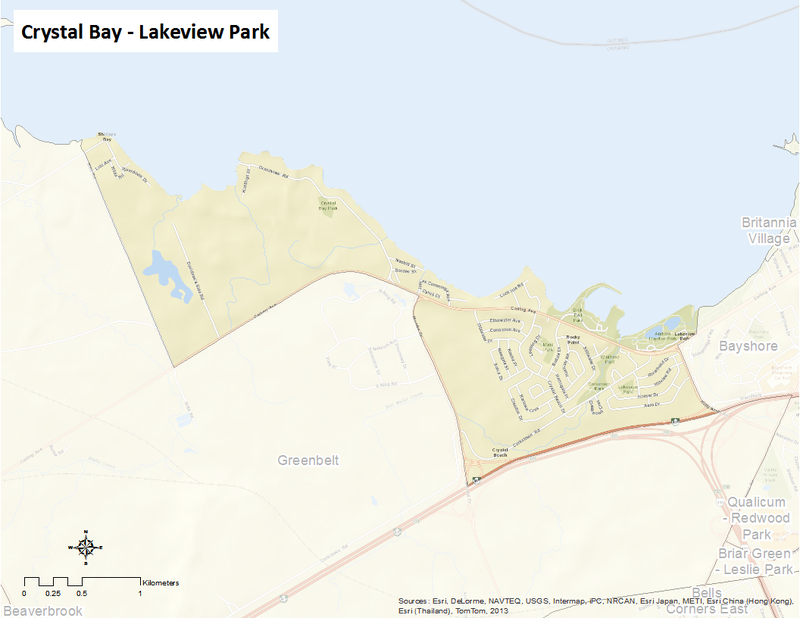 The Eastern section, Lakeview Park, is bounded by the Ottawa River to the north, the Queensway to the south, and Acres Road to the east. Here’s an infographic that describes the neighbourhood as a Village of 100 (2011 data).